Hereditary Prince Ernst August and Hereditary Princess Ekaterina of Hanover have not confirmed the name of their second child, a son, born on March 14, although it is believed -- based on an Instagram post -- that the little prince will be named Welf August. The couple's first child, Princess Elisabeth, was born in February 2018. One of the first family members to offer congratulations to the new parents was Ernst August's stepmother, Princess Caroline. Bunte is reporting that the Hereditary Prince's father, Prince Ernst August, 65, has not recognized the newborn as a dynast. This is due to a "raging bitter dispute" between Papa and his firstborn son over family possessions, including Schloss Marienburg, near Hanover, and property in Austria. Although Ernst August Senior turned over the estate to his son a decade ago, he has been using all means possible to "sabotage his son's planned sale of the castle." According to an article in the Frankfurter Allegemeine Zeitung, the real reason for Papa's displeasure. He has no real interest in the neo-Gothic castle, but he is trying to use the sale of Schloss Marienburg as leverage in a dispute with his son over the Austrian estate, which includes 6000 hectares of land. Papa's extravagant lifestyle led to serious debts that his son has been trying to settle. He lost his access to the family wealthy when he was removed as head aof the Cumberland Foundation. The younger Ernst August's business acumen appears to be working, at least at Schloss Marienburg. Before he became owner of the castle, only 30,000 visited the castle each year. The number is more than 200,000 visitors annually. The Hereditary Prince and Princess are expected to release shortly a family photo -- and probably confirm the baby's first name. Don't forget the support of his mother too.. She is his rock and advisor. Could this boy (or his father) claim the Dukedom of Cumberland one day? Yes. 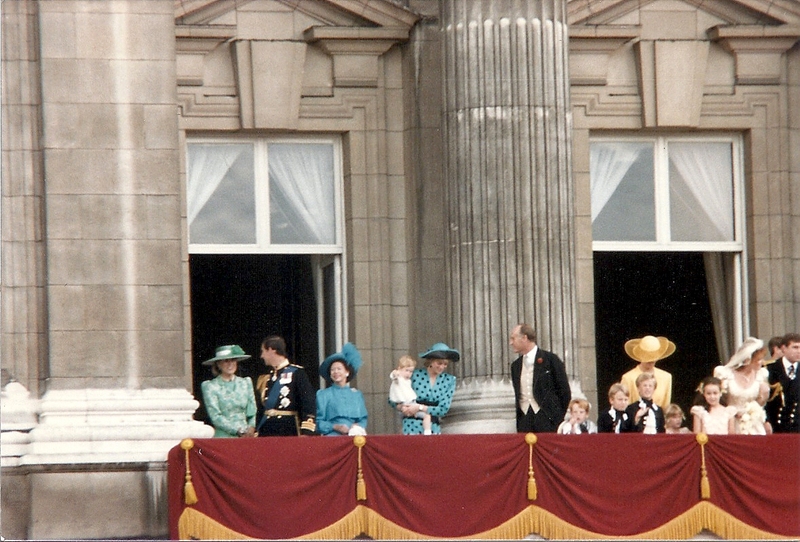 In the 1990s, several German magazines reported that the present head of the family was going to Petition Parliament for regaining the peerage, but Ernst August said in a statement that he had no plans to do this. I expect this will stay the same for his son and grandson. Shame. With no more (non-royal) dukedoms being created, it would be a good way to increase the numbers.